Scientists from Scripps Institution of Oceanography and two other institutions using decades of satellite measurements have demonstrated that the Antarctic ice sheet is thinning and contributing to a global ocean rise. Their report, published Thursday in a special issue of the journal Nature, found evidence that the drift of Antarctic glaciers toward the ocean is accelerating. The biggest changes have occurred in places where ice shelves have either thinned or collapsed. In West Antarctica, ice shelves are being eaten away by warm ocean water, and those in the Amundsen and Bellingshausen seas are up to 18 percent thinner than in the early 1990s. On the Antarctic Peninsula, where air temperatures have risen sharply, ice shelves have collapsed as their surfaces have melted. 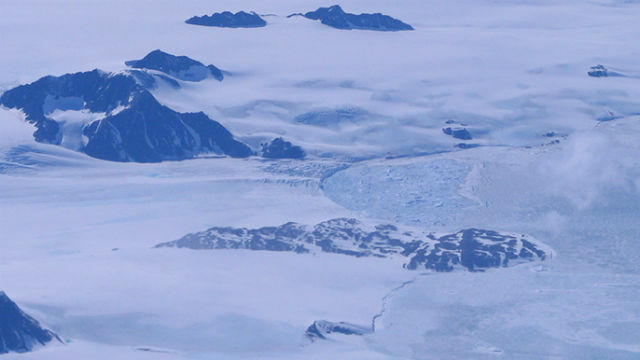 Altogether, 13,000 square miles of ice shelf area has been lost since the 1950s. The team of scientists from Scripps, the University of Leeds and University of Maryland presented two scenarios for the future. In one, greenhouse gas emissions remain unchecked, and in the other ambitious action is taken to limit them. In the first scenario, former, global sea-level rise accelerates and a lowering of the pH of the oceans alters marine ecosystems. In the latter, ecosystems remain intact and human pressures on Antarctica are collectively managed through international governance.